Thank you for looking at our latest project. 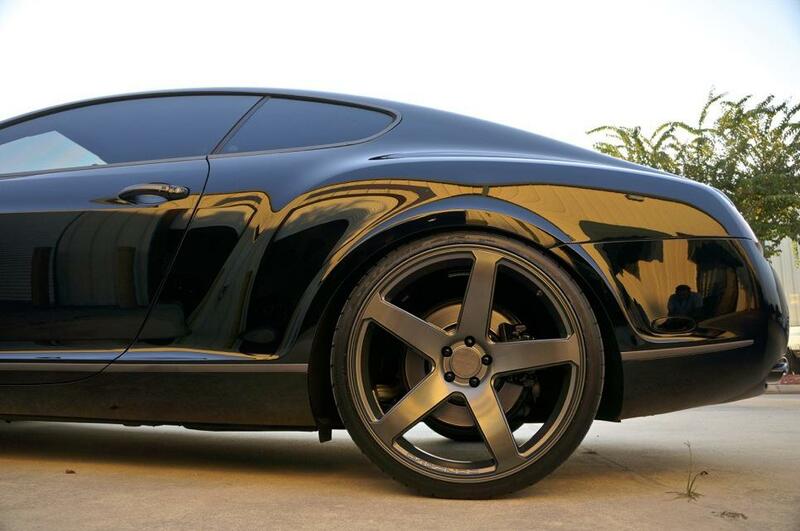 This is one of the best looking, sounding, and performing Bentley’s on the road today. 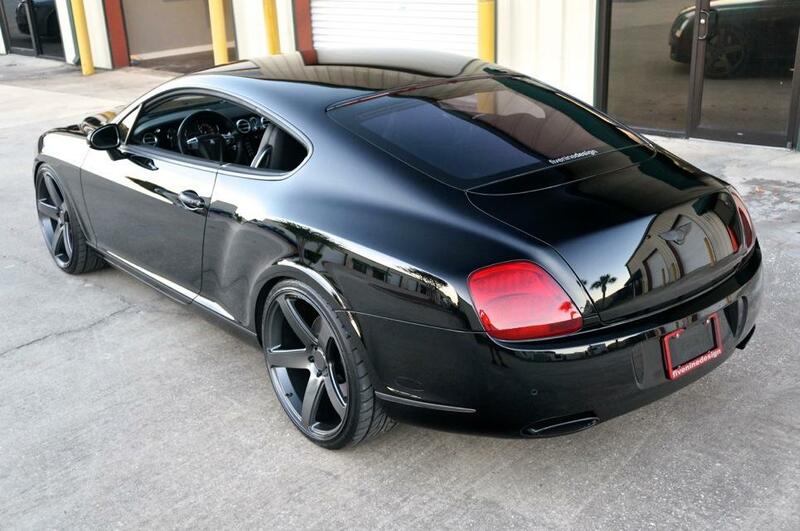 This 2008 Bentley Continental GT Speed was ordered to spec in the sportiest possible combinations, and the aftermarket modifications done to it further enhance it’s desire to be a Wolf in “Wolf’s Clothing”. Finished in Beluga Black with Beluga Black ALL Leather interior, this vehicle is the epitome of sinister. The interior is fitted with Piano Black Lacquer Wood Trim throughout, and the standard Aluminum Hand Made touches, to complete the great build of this Bentley. The car has the “Mulliner Specifications” applied to the Seats and Door Panels, and a very rare embossed “BENTLEY” on all four seats, contrary to the normal B Wings embroidered in. The headliner of this beautiful machine is finished in Perforated Black Leather. There is not an area of the interior that is not wrapped in leather, aluminum, or wood. It is quite a testament to the quality of goods used to make these gorgeous hand made supercars. The exterior of the vehicle is just as spectacular as the interior. The black paint is in excellent condition, and the Black paint is SO black! 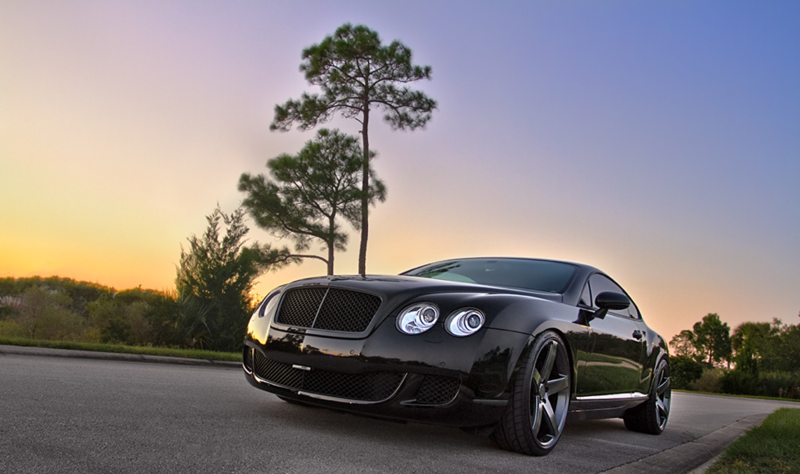 Being a Speed, the front bumper is more pronounced than your run of the mill Bentley GT, and the matrix grill openings are much larger. All of the chrome trim on the vehicle has been professionally finished in Satin Gunmetal Metallic by Identity Design. This product is seamless, and protects the original finish of the wrapped area. The window trim, door handles, door handle shield, lower door trim, headlamp bezels, and grill bezel were all finished in this Gunmetal Metallic. 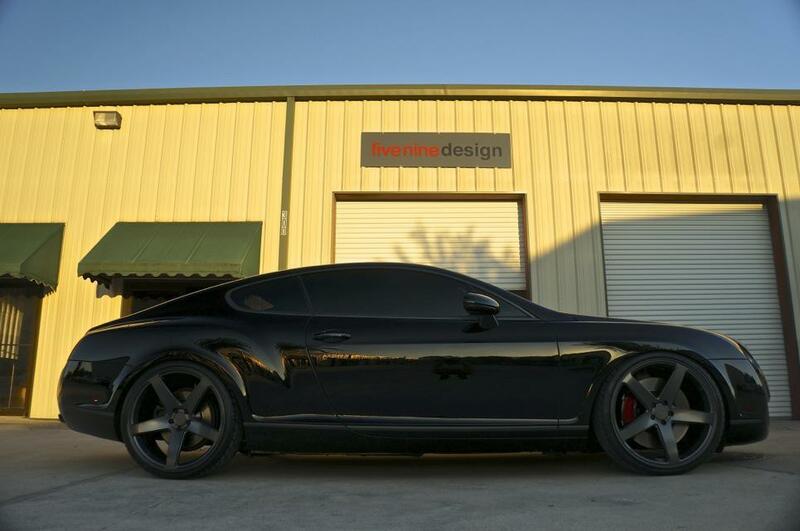 The wheels were custom Powdercoated to match the trim perfectly. 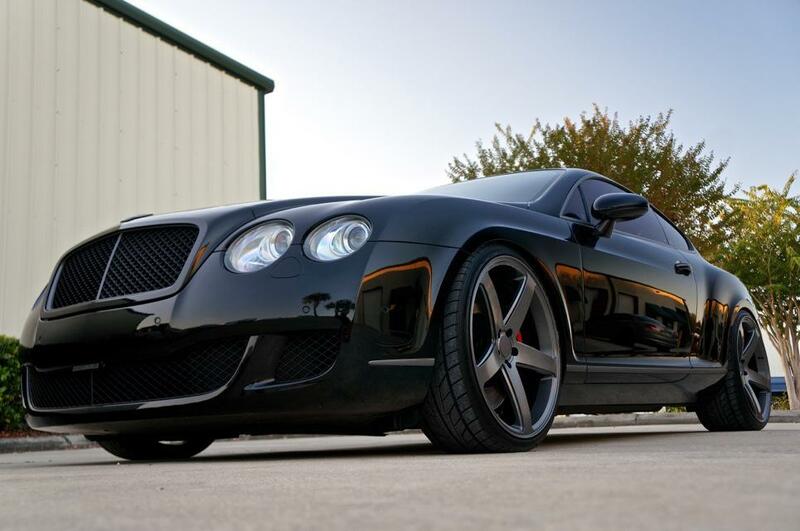 The lower matrix grill, the Hood Grill, and Flying B Wings have all been refinished professionally in Satin Black. The side mirror lights, sidemarkers, and reverse lamps were all finished in Gloss Black Smoke, and the Tail Lamps were lightly tinted to “Supersport” specification. 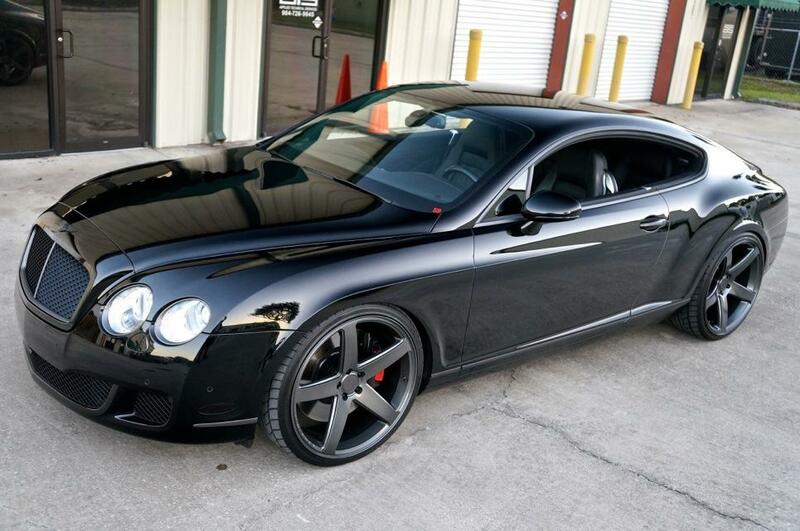 The brakes and hubs on the car were professionally painted Black (Red Bentley Plate on front Brakes). 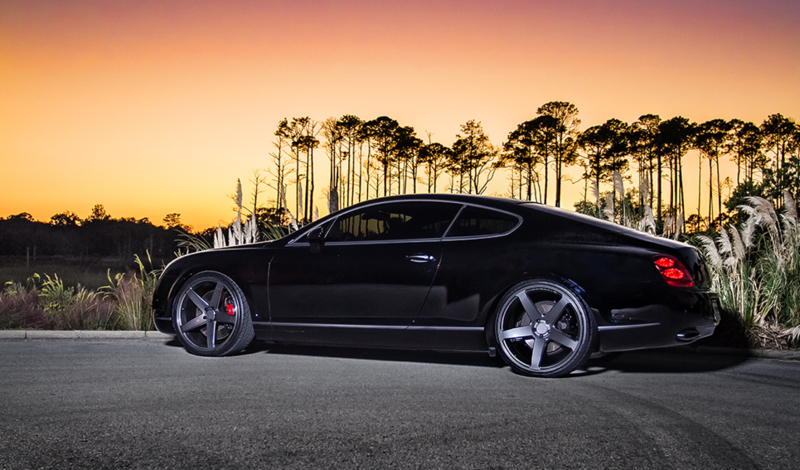 The wheels, are a custom ordered set of Concavo CW5 Deep Concave Wheels in 22″. These gorgeous monoblock wheels are wrapped in Nitto NT555 High Performance Tires, and they make for a perfect fit on this vehicle. 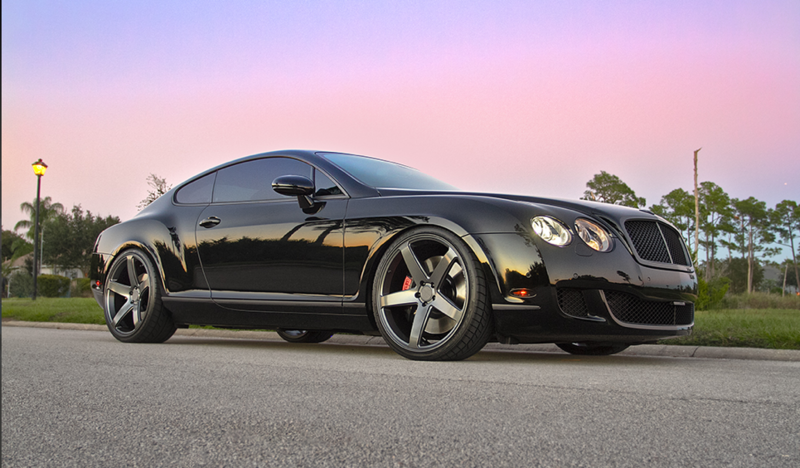 Utilizing the Bentley Air Suspension, AdjustableAirRide Links were installed to give full range to the suspension of this vehicle. 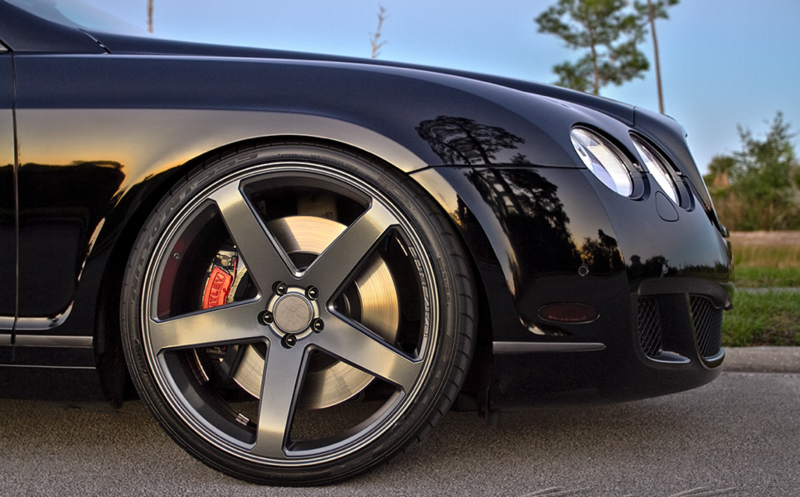 We currently have the vehicle professionally lowered and aligned to perfect specifications, and this modification has set this vehicle apart from any Bentley you will pass on the road (if you ever pass another one). 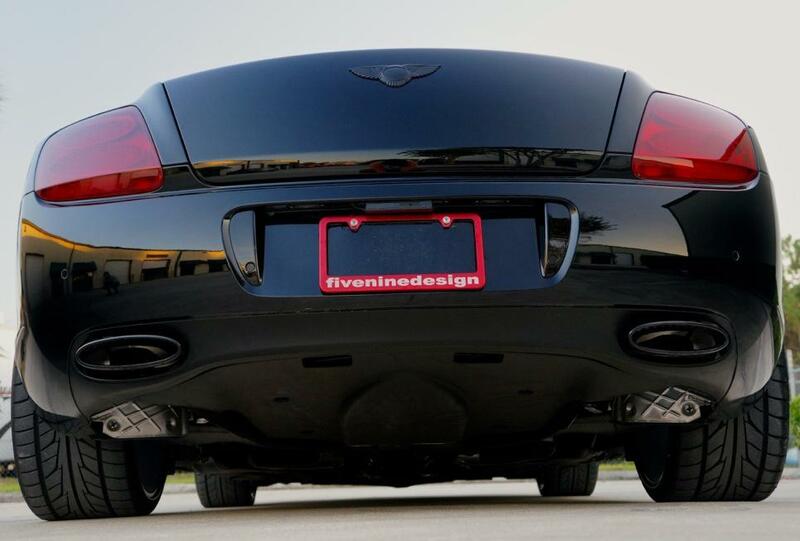 The exhaust work is custom done by S&S, who specialize in exotic cars and supercar custom exhaust systems. The car maintains a very aggressive rumble, but with no drone or resonance at speed, and relieving a tad of back pressure for this Turbocharged beast. 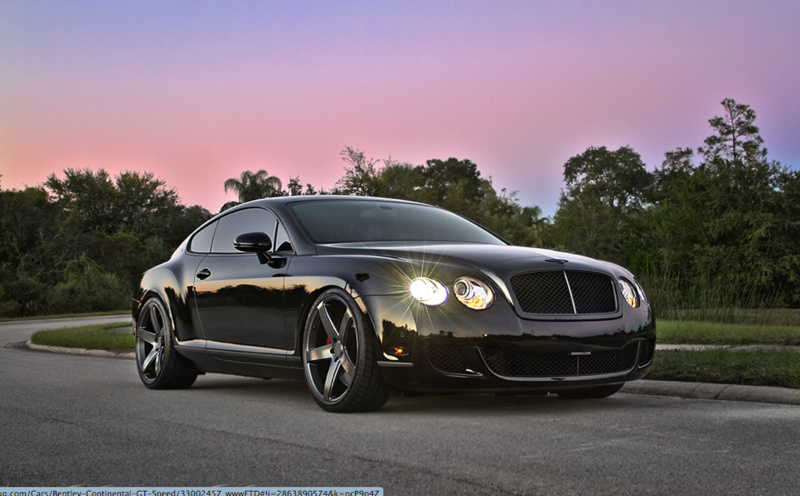 This car sounds better than any Bentley you have heard. 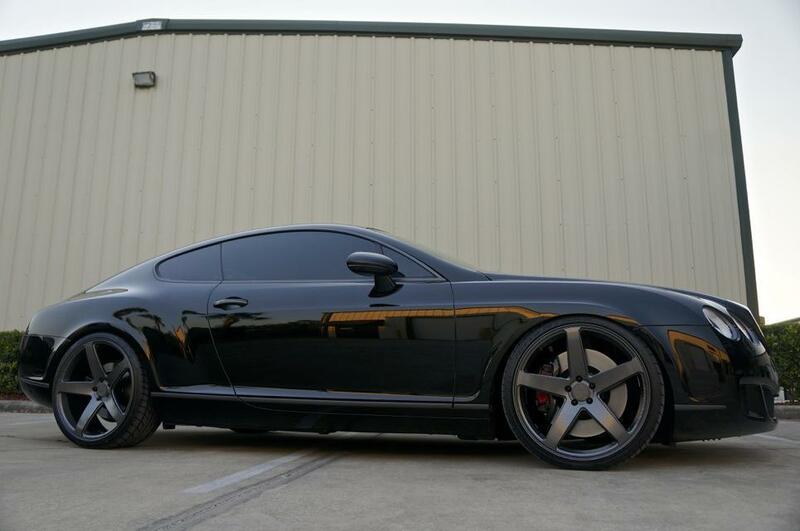 The ECU and TCU were tuned by Viezu Tuning, giving this car an extra 70 horsepower and comparable torque. Currently resides in Houston, TX.